Star Wars' Colin Cantwell Signing & Presentation! 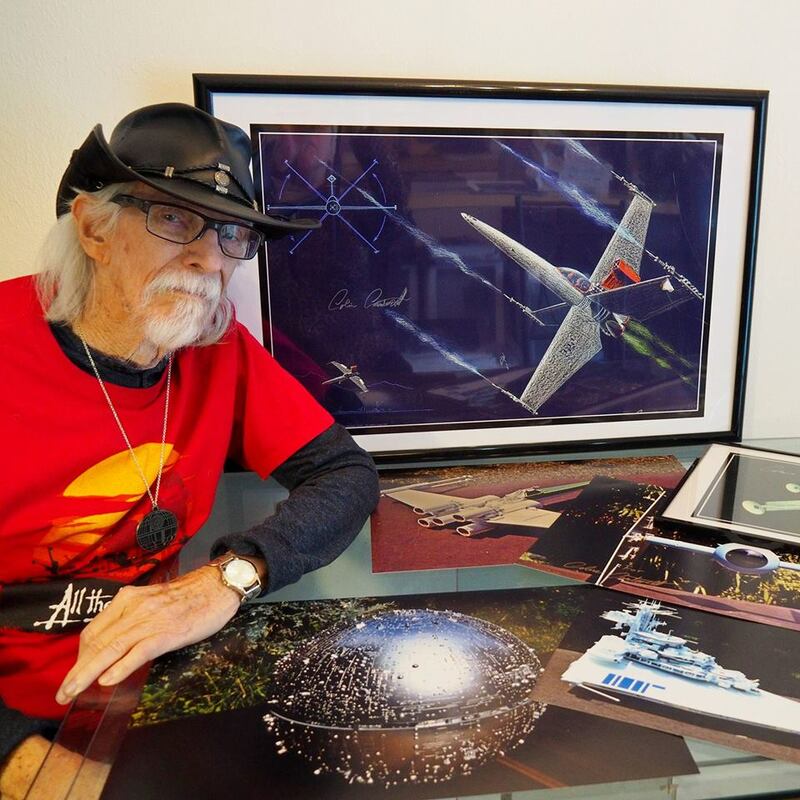 Star Wars ship designer Colin Cantwell was the original concept artist and modeler for all things that flew in the first 1977 Star Wars movie, "A New Hope"! STAR WARS' COLIN CANTWELL PRESENTATION & SIGNING, WITH THE 501ST! He will give a video presentation in our Events Room at 12:30, followed by a "meet & greet"! Autographs will be $25 each, and "selfie" photos will be $10 each. A free 8x10" print or photo will be provided with for the autograph if you do not already have an item for him to sign. You may choose a 12x18" print or photo with an autograph / selfie combination for $35! •	Working on several other movies including, War Games, Close Encounters of a Third Kind and more! ** Scheduled to appear; times and details subject to change without notice. See EC's Facebook Page, or contact the store for updates. Costumed Heroes are local cosplay actors, not affiliated with any movies or TV shows.